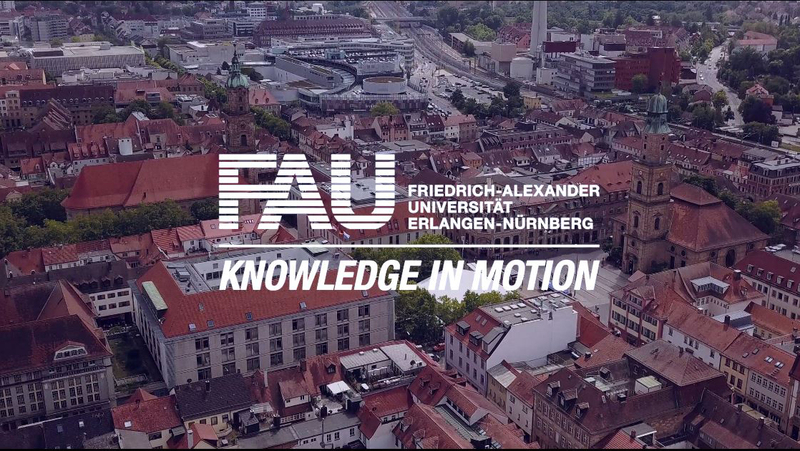 Every year, the FAU Welcome Centre invites guest researchers to an international evening – as was the case again this year. 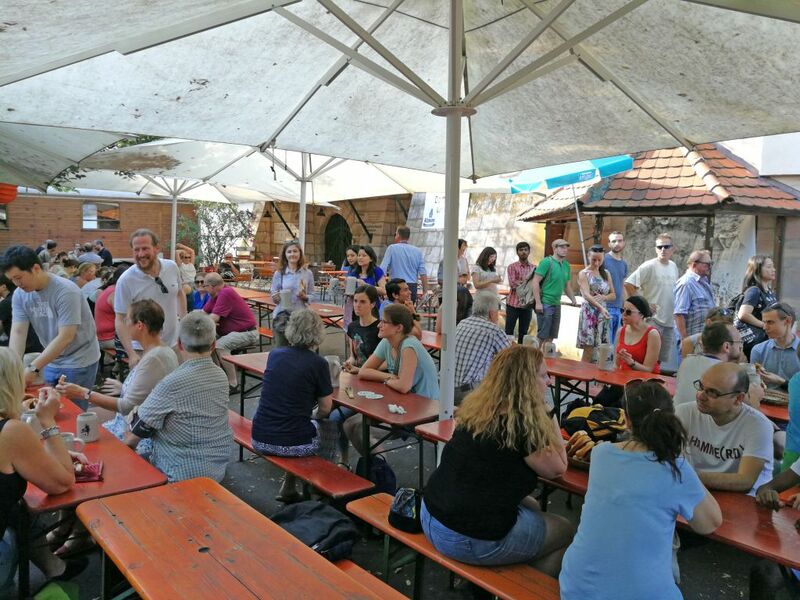 On a hot summer day in July a group of some 90 people gathered at the Entlas´s Keller, one of the beer cellars at the „Erlanger Berg“. 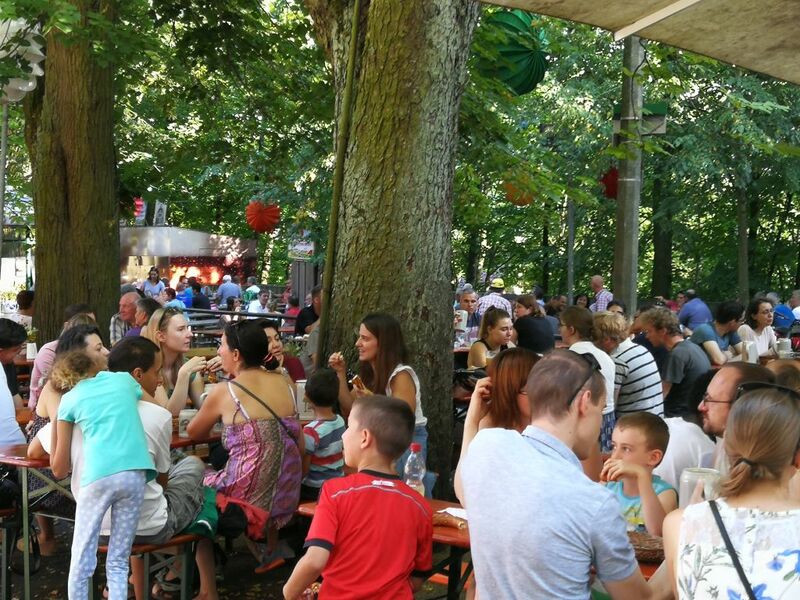 The Erlanger Berg is the location fo the annual “Berch”, one of the oldest beer festivals in Germany, and the Entlas´s Keller one of the many beer cellars, where the „Berch“ beer is served during the festival. 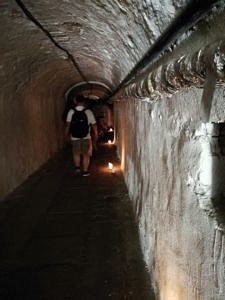 The evening started with a guided tour through the eight degree cold tunnels of the beer cellars within the Berg – a refreshing dip at outside temperatures around 30 degrees. 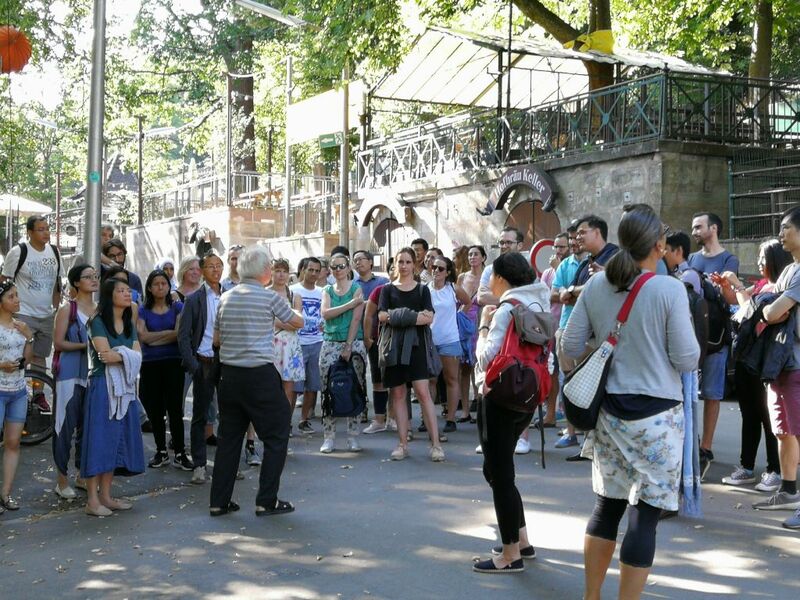 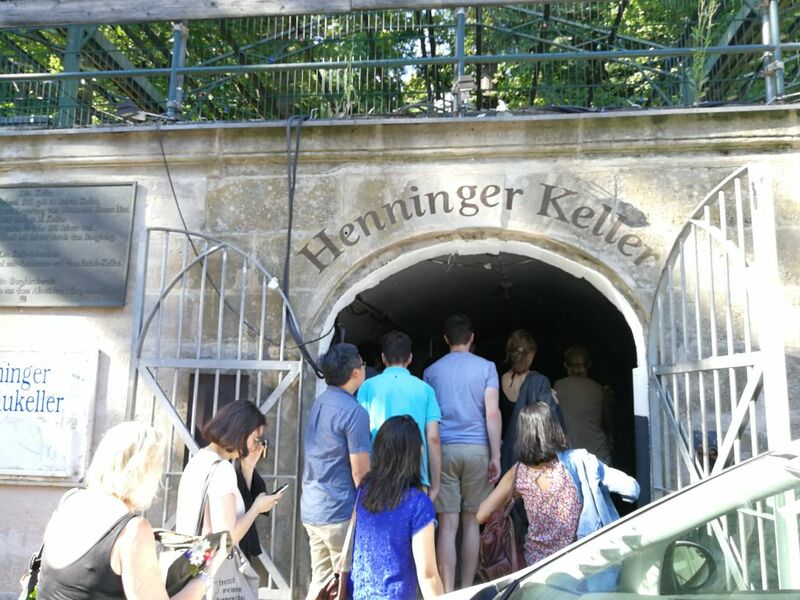 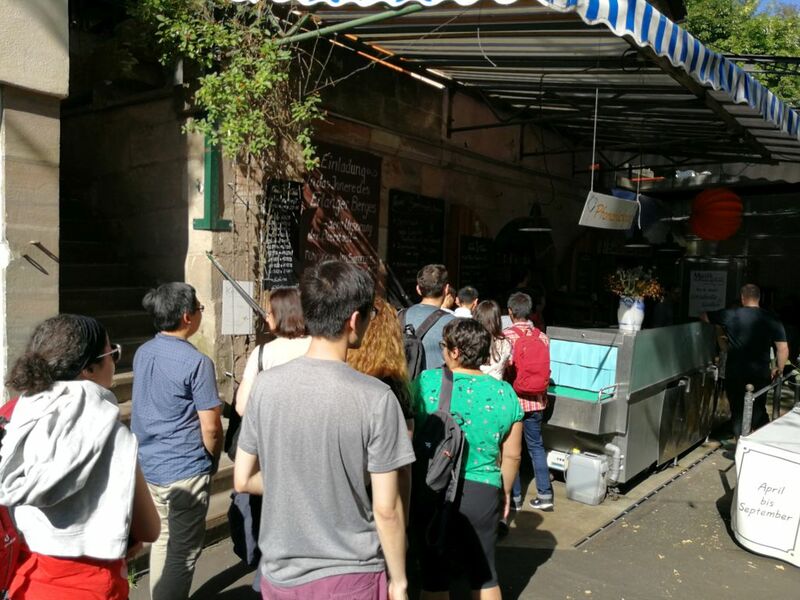 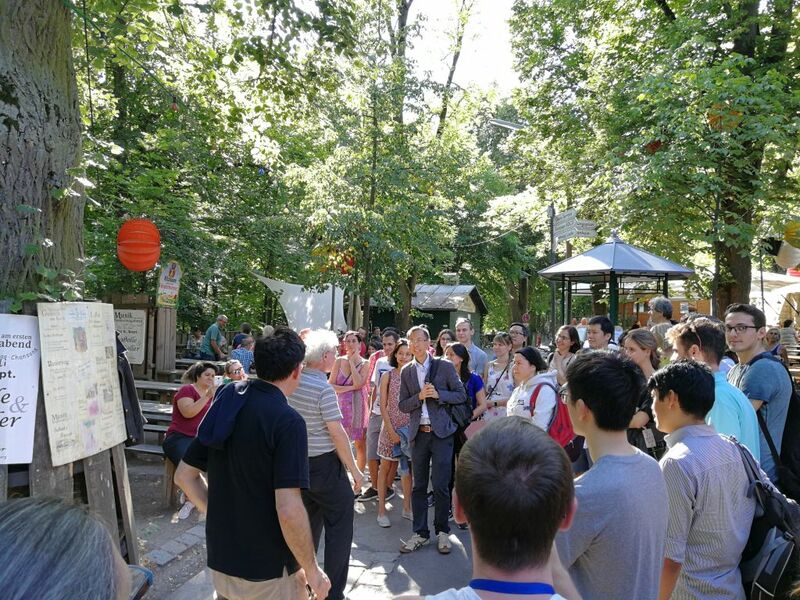 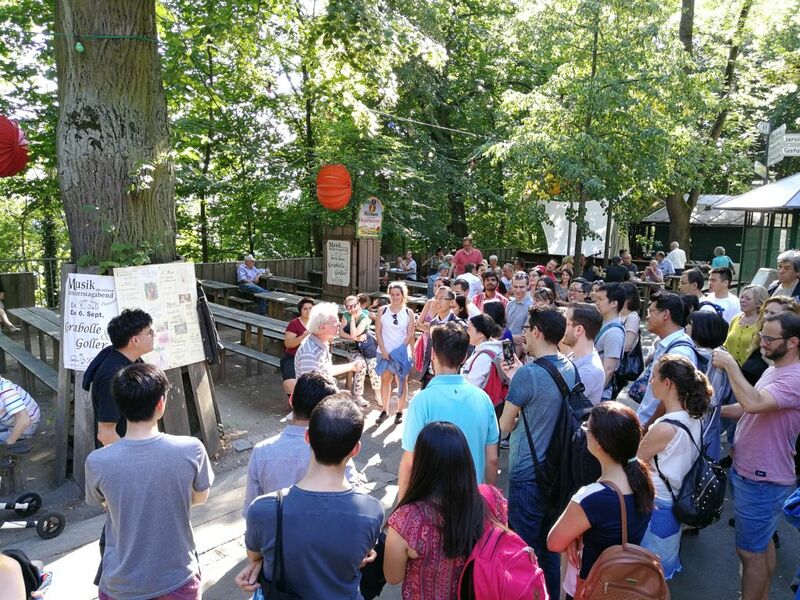 The international researchers and their families learned a lot from the dedicated guide about the history of the Erlangen beer cellar, which was accompanied by entertaining anecdotes and a mysterious atmosphere due to many well-placed candles within the otherwise dark cellars. 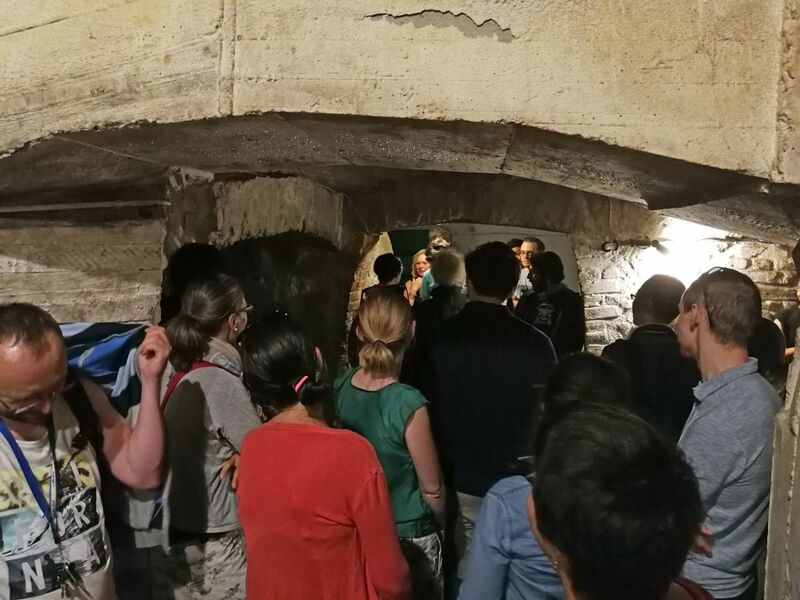 After the informative and entertaining tour through the cellars, the international researchers were welcomed by Dr. Elisabeth Preuß, mayor of Erlangen, and Prof. Dr. Günter Leugering, FAU Vice President Research. 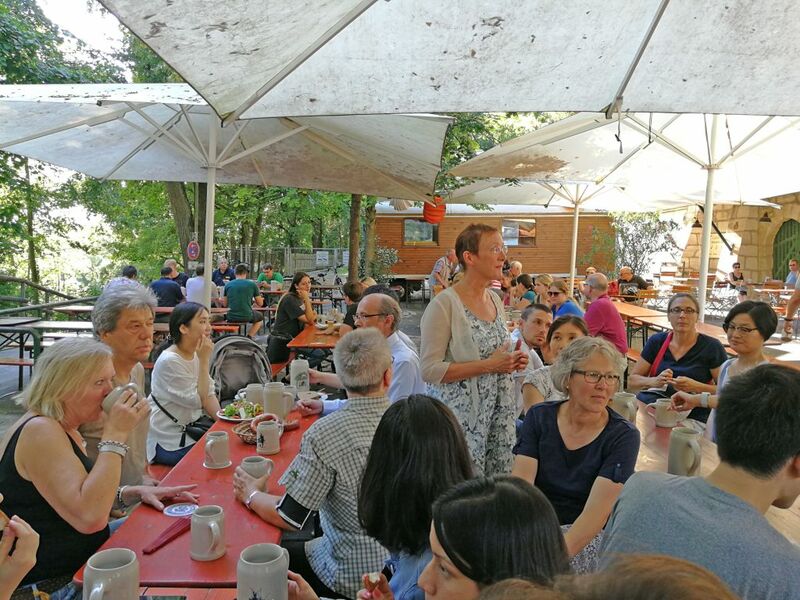 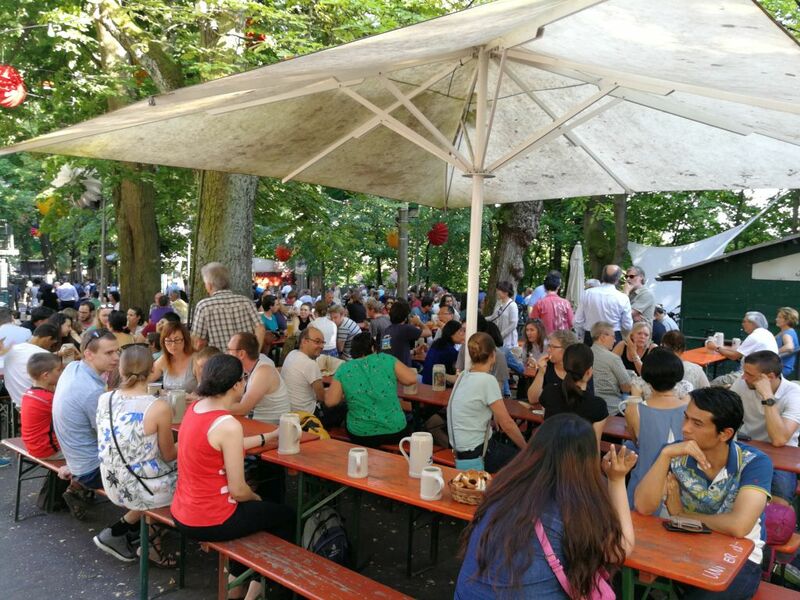 Then it was time for a leisurely part of the evening: with cool drinks and typical Franconian food, lively discussions developed between the international scientists, which certainly offered opportunities for establishing new contacts and networking. 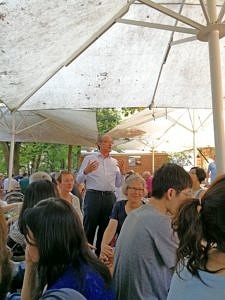 The all-round successful evening shows how important the researchers from all over the world are to FAU.